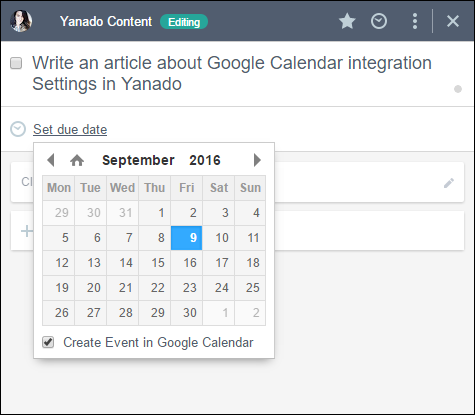 Google Calendar integration with Yanado is now enhanced with few more improvements. You will find some great options that will help you to use Google Calendar for keeping up with important due dates you set in Yanado. So, let’s see what those are. Once you go to Yanado Settings and open Google Calendar you’ll be able to set a default option for how you’re Lists and due dates will be set and organized in Google Calendar. Or if you want to use a single Google Calendar for all the Lists you create. This Google Calendar is yanado.com. If you want a Google Calendar event to be created by default for each due date set. In case you don’t want this as a default, you’ll still be able to create a Google Calendar event for a particular due date. So if you set a due date for a particular task, you’ll use a “Custom” option from the dropdown menu, where you’ll be able to set a date and choose to have an event created in Google Calendar. When you remove a due date for the task, the event in Google Calendar which refers to that due date will also be removed. 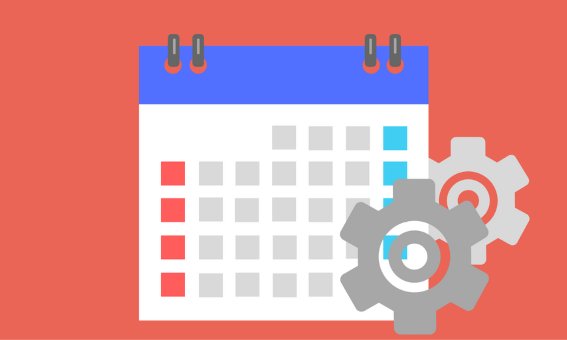 When you change the due date for the task, the event in Google Calendar which refers to that due date will also be changed. When you delete the event from the Calendar, the due date which refers to that event will also be removed upon reloading of the list or Yanado. When you delete the task, the event in Google Calendar which refers to that task will also be removed. When you archive the task, the event in Google Calendar which refers to that task will be removed. When you invite a new user in the List, that user will also get an invitation to the Calendar used for that List. When you remove a user from the List, that user will also be removed from the Calendar. The exception will be made if a user whom you’ve removed from the List is a user in other Lists that are still in the yanado.com Calendar. When the owner of the List removes himself from the List, the ownership over the Calendar used for that List will be switched to the Super Admin of the team.